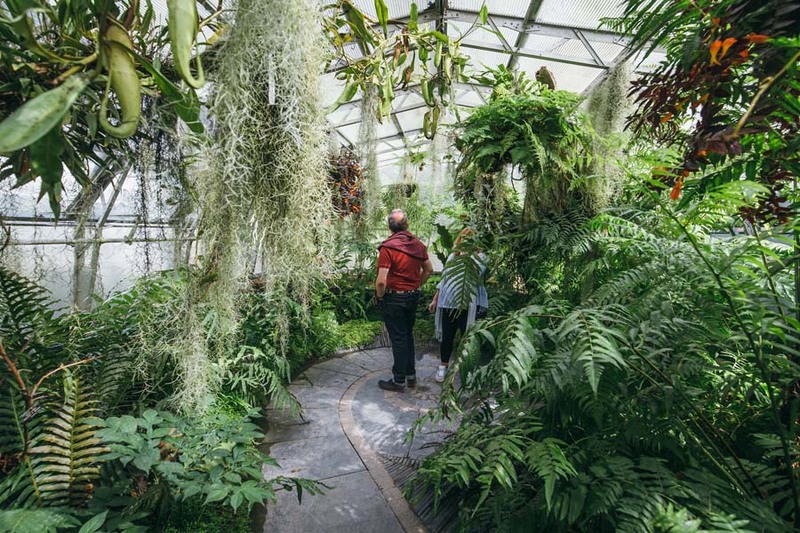 Our collection of carnivorous Nepenthes pitcher plants grow in this glasshouse. These plants produce an incredible assortment of leafy traps to attract, kill and digest insects. This collection supports the research we do at the Garden in collaboration with scientists in the University’s Department of Plant Sciences. 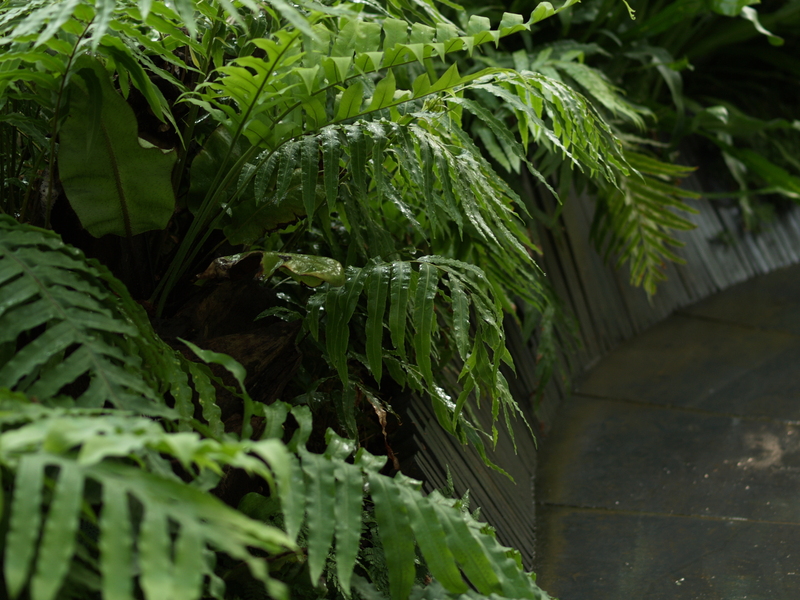 This glasshouse is also home to many different types of fern. 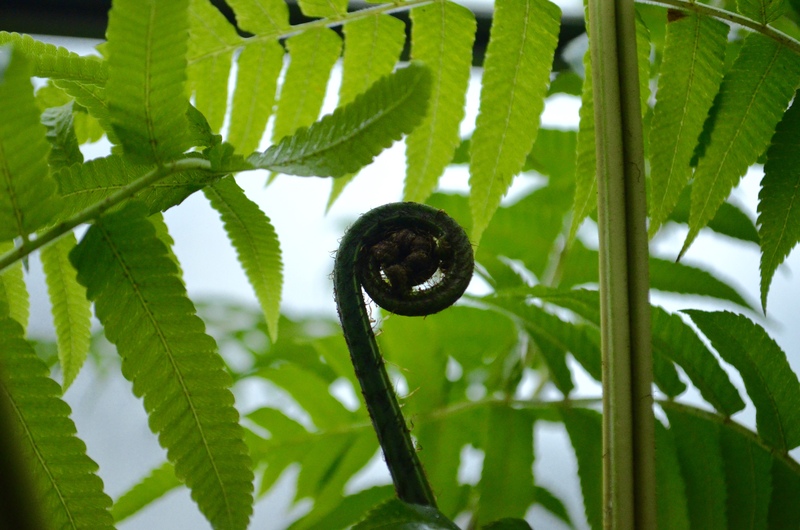 Ferns are non-flowering, spore-bearing plants which typically grow in damp habitats. 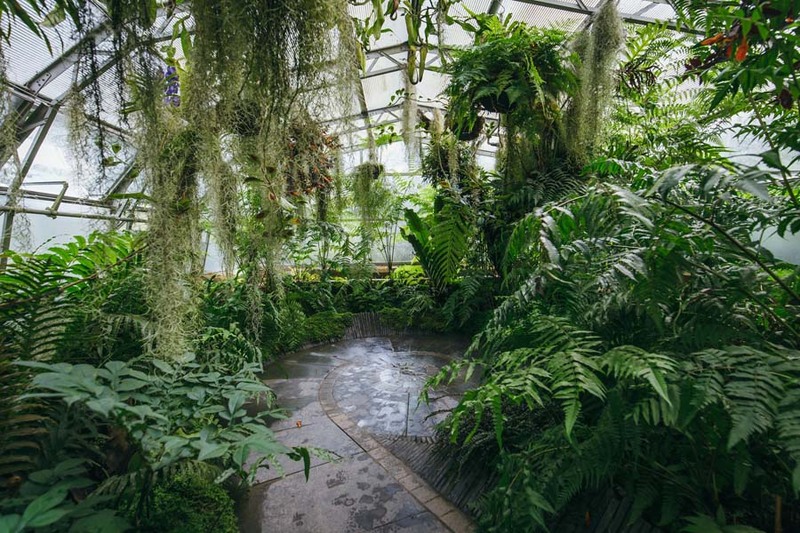 Some species in the glasshouse are epiphytic, such as Platycerium, which grows perched upon the branches of trees. Others, such as Stenochlaena, are terrestrial ferns which produce masses of rhizomes on the soil surface.